Havaianas Slim logo Black Gold Pink Navy Flip Flops Sandals Thongs Brazil Logo. 5 out of 5 stars - Havaianas Slim logo Black Gold Pink Navy Flip Flops Sandals Thongs Brazil Logo. 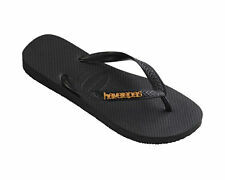 1 product rating1 product ratings - Havaianas Slim logo Black Gold Pink Navy Flip Flops Sandals Thongs Brazil Logo. 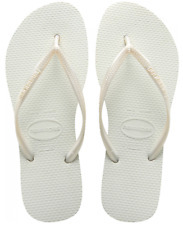 Havaianas Top flip flops. The original unisex Brazil sandals. New. COACH ESPADRILLES - Slip on, Champagne Colour, Size 4.5. Condition is New with box. Dispatched with Royal Mail 1st Class. Flip-Flops on the platform.. Condition is New with box. Ladies cotton traders shoes size 4 . Condition is Used. Dispatched with Royal Mail 2nd Class. Hardly worn. Clog style Ladies cotton traders shoes size 4 . Condition is Used. Dispatched with Royal Mail 2nd Class. TED BAKER Joleey Ballet Flats. Espadrille/Beach shoes. Fuchsia Pink size 7/40. Condition is Used.